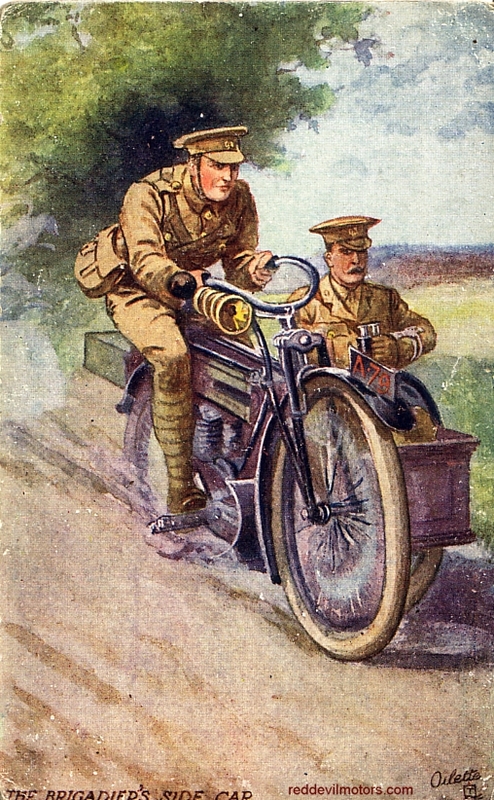 'The Brigadier's Side Car', a postcard illustrating the British Army's ASC in the First World War. The machine illustrated is fairly clearly a Triumph, probably a Model H, of which many thousands were produced for military service. 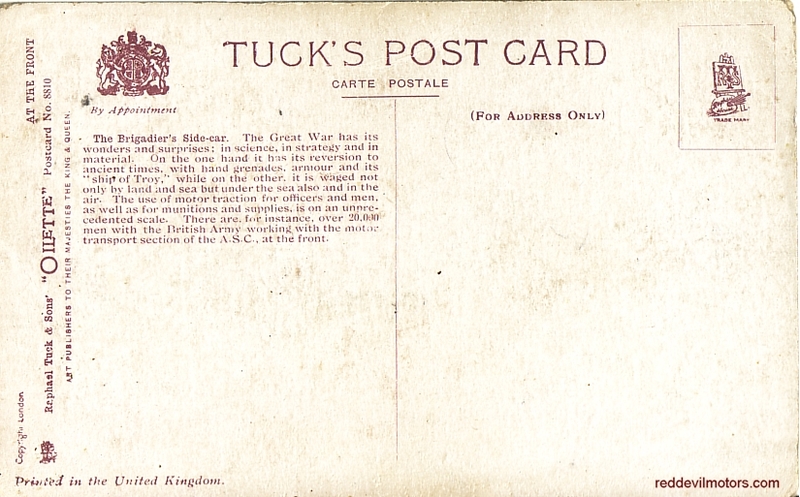 The Army Service Corps was the unit tasked with military logisitcs. The artist seems to have only a vague notion of what a sidecar might look like. He has shaped this one like a coffin! And the sidecar wheel shows too far forward. 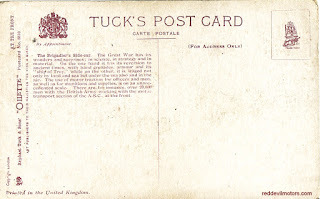 Great postcard.